The historic Kenilworth building The Wantage will remain as it is after a plan to convert it into two apartments was refused. At a meeting on Tuesday March 29, Warwick District Council’s planning committee eventually refused the plan by six votes to three after a lengthy debate over how the plans dealt with the Grade-II listed building in Castle Hill. At some stage someone will come up with a plan that is acceptable for the Wantage - but this one wasn’t. Council planning officers had recommended the application be refused because it would be ‘inherently harmful to the integrity’ of the building. Cllr John Cooke (Con, St John’s), chairman of the district council’s planning committee, said: “Quite clearly it’s a very important listed building within the town, and it’s listed for a reason, both internally and externally. “The discussion always revolves around how the building is deteriorating, and there were some at the meeting who thought we should let the development go ahead. It’s a building that divides opinion. “But the development only dealt with the building part of the site - the rest of the site is vast. In the end permission was refused and quite rightly so. “When it’s a building of that importance committees have to be very careful how they vote. “It’s perfectly possible for it to be a family home but you have to take it on warts and all - owning a listed building is a big responsibility. “It comes down to how much work you are willing to do without harming the integrity of the listed building. The decision to refuse conversion of the building is the latest in a list of refused planning applications aiming to convert or build on The Wantage. A plan to convert the building into four apartments rather than two was refused in 2012, and an appeal to overturn the decision was dismissed in 2013 by the Planning Inspector. Another refused plan to build a two-and-a-half storey building on its grounds in 2004 was also dismissed at appeal. The most recent plan had a lot of support from the public, with many writing to the council to say something needed to be done to restore the building before it is too late. 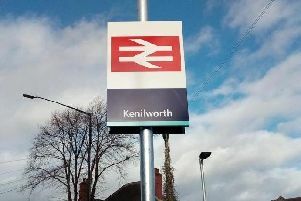 Kenilworth Town Council remained neutral to the plans, despite opposing the previous conversion application in 2012. A spokesman for the town council said: “Members are very concerned about the continuing deterioration of this important Grade-II listed building in a sensitive site and look forward to a suitable solution. The Wantage was built by architects Buckland and Farmer in 1901, and is typical of the arts and crafts stykle pioneered by William Morris. A lot of the original features still remain in the property, including a servant switchboard and pull-down sinks.